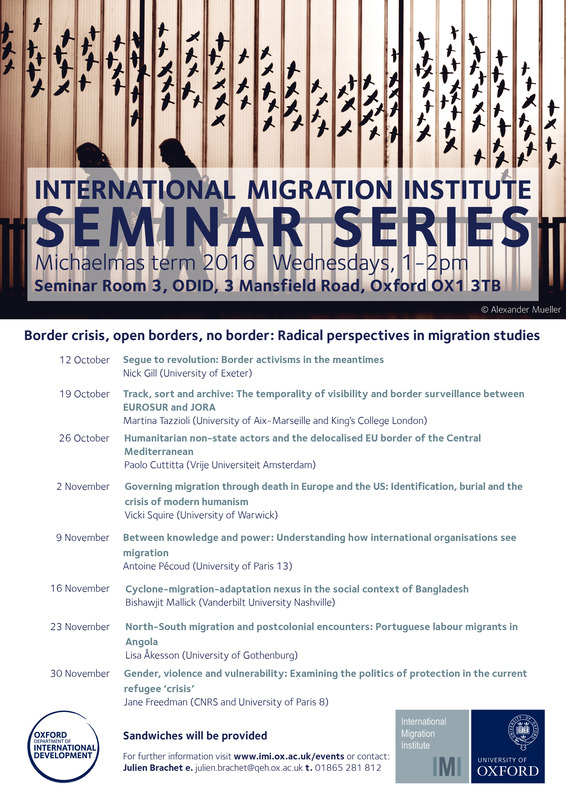 This presentation focuses on the politics of visibility and border surveillance that is at stake in the Mediterranean. I will focus on EUROSUR and JORA, as two European software systems that are devised for working in real-time and producing a situational awareness picture of what happens at the external frontiers of Europe. The presentation is the result of my ethnographic research conducted on EUROSUR and JORA, and it centres firstly on the temporality of the main European monitoring devices, arguing that more than working according to a real-time temporality they aim to collect and store data for producing maps of risk. Then, it brings attention to the regime of representation that is at stake, showing that it is less a question of producing an overwhelming visibility than of putting on the map migration movements according to their degree of governability. These systems do not visualise migration movements, they rather open spaces of governmentality and intervention for military and state actors.